Today I'm going to share with you a very very important topic which is related to Yarn Dyed Fabric. 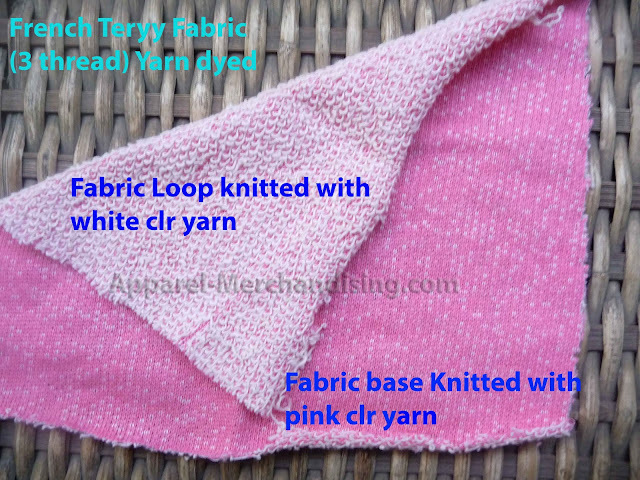 My this post is only based on knitted fabric not woven and other's fabrications. When we got a work order of garments item from the buyer at first we collect the fabric to make the garments. We could purchase this fabric directly from the fabric supplier or also could make the fabrics in our own factory. In both the way we need to produce the fabric at first. The main raw materials of fabric is yarn. In a general way at first we collect the gray yarn from yarn factory to produce the fabric. The factory which made the yarn from cotton are called as Spinning factory. Then from this gray yarn we knit the fabric by knitting machine. 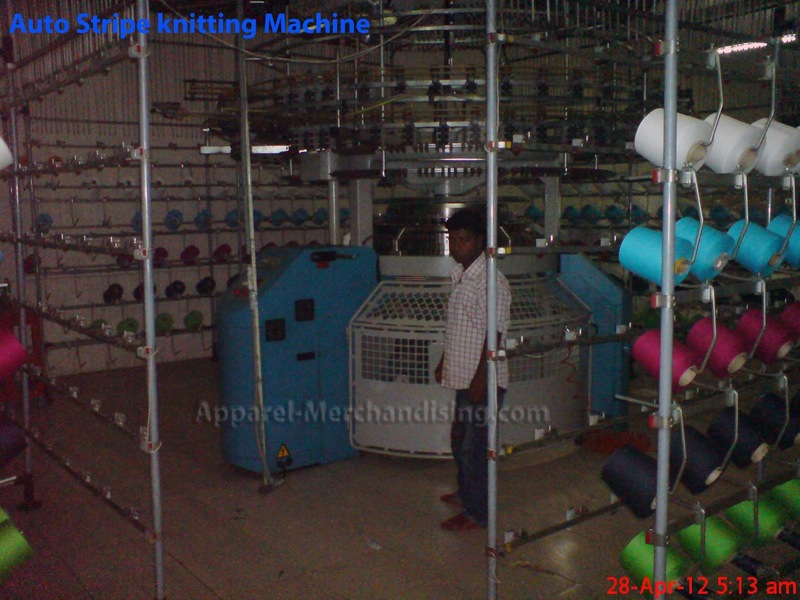 As this machine worked as a circle so we called this machine as circular knit machine. The company which made (knit) the fabric by circular knit machine are called as Knitting Factory. As at first we produce the fabric from gray yarn so we called this fabric as gray fabric. Then we dye the fabric in any color as per requirement of color. The company which dyes the gray fabric are called as dyeing factory. After dye the fabric we called this fabric as solid color fabric or solid color dyed fabric. But sometimes after collecting the yarn we direct dye the yarn before knit the fabric. We called this dyeing process as yarn dyeing. And the factory which dyes the yarn are called as yarn dyeing factory. In our country there is a very small number of factories which dye the yarn. It is a very costly project. After dye the yarn we knit the fabric with this dyed yarn. As this fabric is made from dyed yarn so we called this fabric as yarn dyed fabrics. Today I will mainly discuss with you about this yarn dyeing and yarn dyed fabric knitting process. We can produce various kinds of fabric by this dyed yarn. Also I will share some very important information with you which is very very rare. Even you will not get this information in any textile related books. 01. What is yarn dye? 02. How the yarn dyed fabric is made? 03. What is yarn dyed fabric? 03. What is yarn dyed stripe (fabric)? 04. How many types of yarn dyed stripe we can produce? 05. What is Feeder stripe? 06. What is the limitation of feeder stripe? 07. What is the limitation of feeder stripe machine? 08. 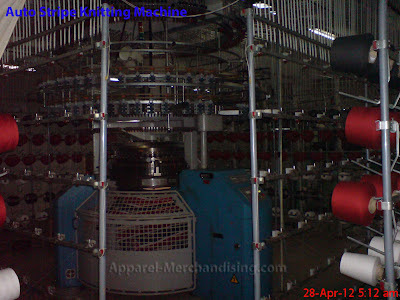 What is feeder stripe knitting machine? 09. How the feeder stripe knitting machine works? 10. What is a multi feeder stripe machine? 11. How the multi feeder stripe machine work? 12. What is the advantage of multi feeder stripe machine? 13. What is yarn dyed auto stripe? 14. How the auto stripe machine works? 15. What is the disadvantage of auto stripe machine? 16. 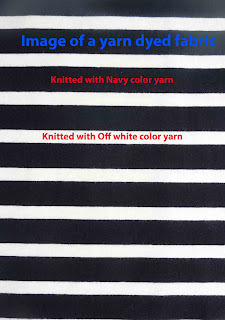 Why large stripe is not possible in the normal knitting machine? 17. What is tipping collar? 18. Some different kind of tipping collar. In the general sense dyeing of gray yarn we can call "Yarn Dye". But many times we received some order of striped T-shirt or Polo shirt or any other garments item. 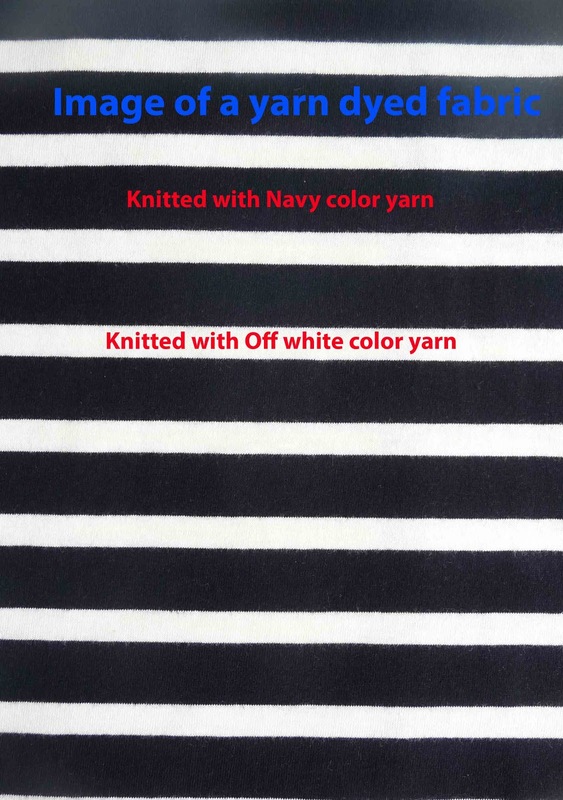 This stripe can be made by prints or dyed yarn. If buyer asked for dyed yarn then we dye the yarn and knit the fabric with this dyed yarn. In textile sector we called this yarn dyeing process as yarn dye. Many times we also dye the yarn for some other purpose other than body stripe, it can be for a fancy yarn dyed fabric also. For normal knit fabrication we put the cone of gray yarn on the feeder and then knit the fabric. But when put the cone of colored yarn on the feeder (as per our requirement) and produce the fabric with these colored yarns then we called this fabric as yarn dyed fabric. this is a very very important topic.i will wait your remarks here. you don't come back to be about "color separation" yet. can you please let us know about the collar & cuf ! Thanks bro. Go ahead. . . We'll be with u. Thanks bro. Go ahead. . . We'll be with you.